You can find me here: http://www.facebook.com/Aworkofheartcreations or you can click on the facebook image on the right of your screen and it will take you directly to the page. Super cute, right?! 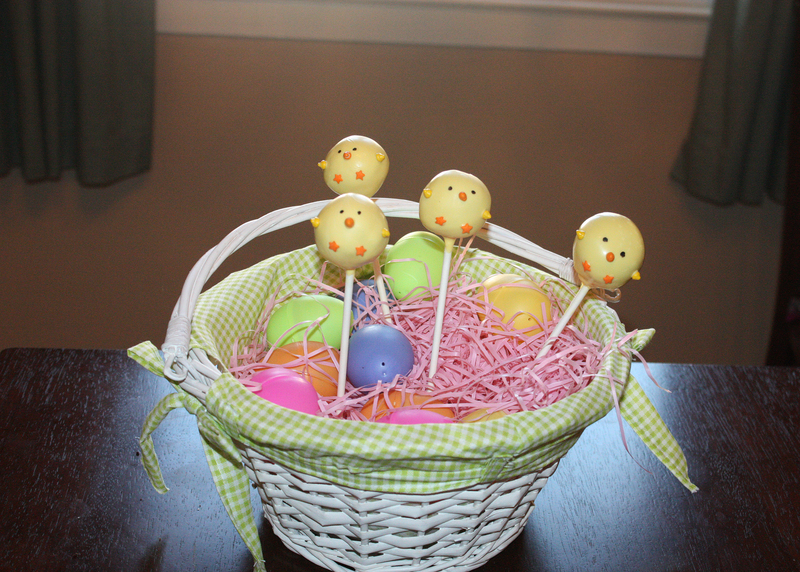 They would make a great addition to any Easter basket! 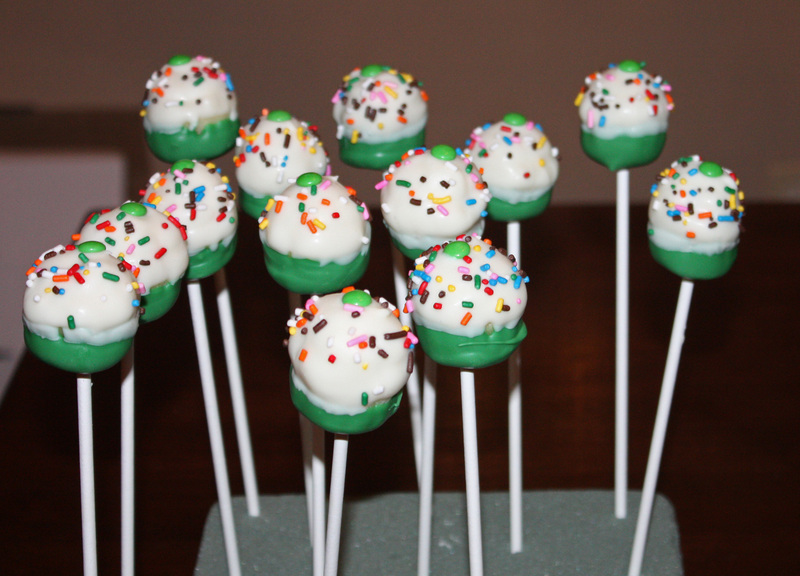 The neat thing about cake pops is that they can be shipped. The following week this cake was requested again… and then the week after…. 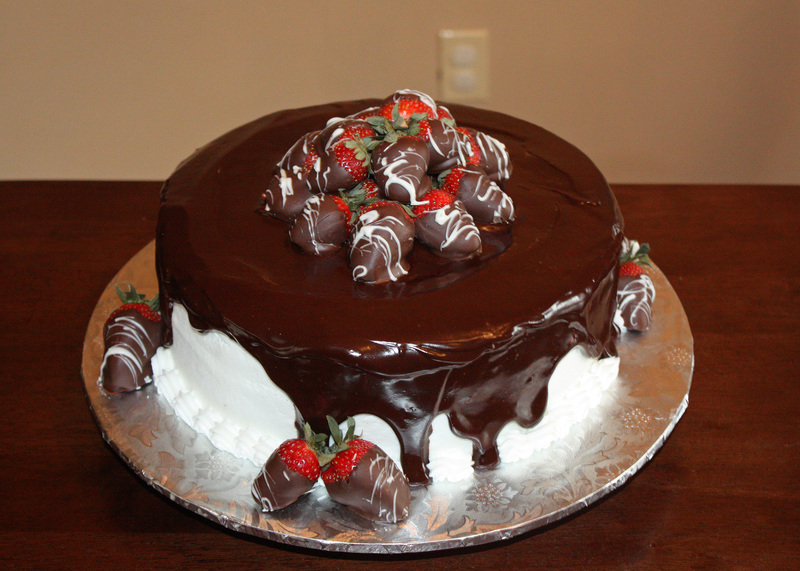 perhaps this cake needs its own special name… hmmm… any suggestions? Cookies!! NUM NUM NUM NUM!!! I volunteered to teach a group of teenage girls at the high school where I work a skill that they could be proud of. Initially I thought that they would think it was juvenile, but apparently Sesame Street is in?! 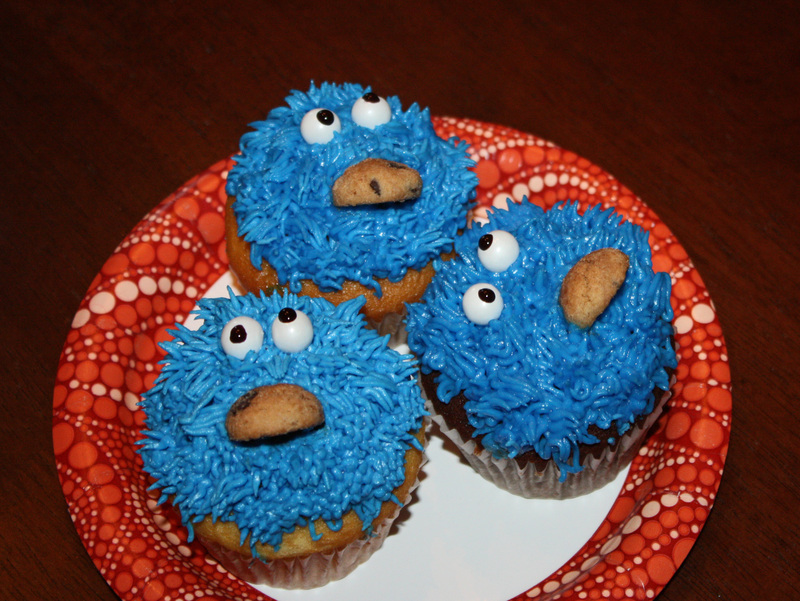 Anyways, it was a blast showing them how to create these cookie monster cupcakes! They aren’t perfect but the kids enjoyed this special treat!